Current Social Unrest Generating Renewed Interest in the Tarot – Zero Equals Two! 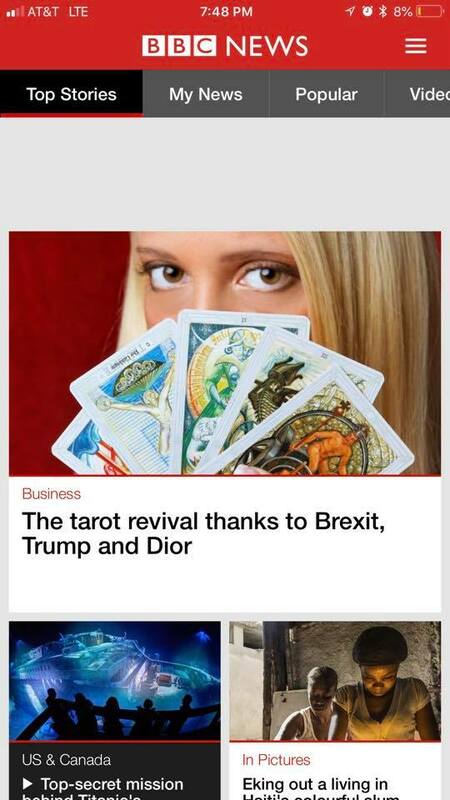 “But she insists there are other reasons for tarot’s accelerating popularity. “‘Our societies are going through an extreme sense of alienation,’ says Ms Vogel, mentioning Donald Trump’s presidential victory in the US, as well as the rise of far-right groups, violence and misogyny. “‘When we were younger, change used to be much slower and gradual. Now, the world is changing at a more rapid pace than ever,’ says the professor, who studies tarot, human spirituality, and the occult. In sharing these opinions we are not stating that Donald Trump’s presidency is generating alienation in the populace. Nor are we denying it.